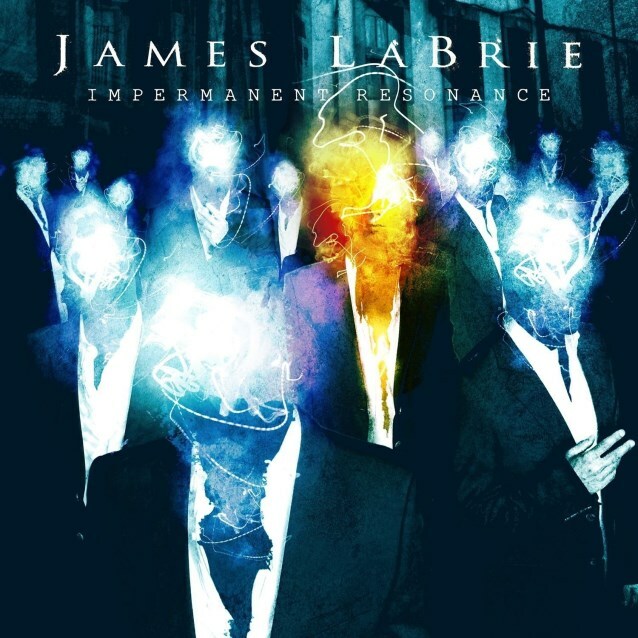 Jump Metal recently conducted an interview with DREAM THEATER singer James LaBrie and guitarist Matt Guillory about LaBrie's new solo album, "Impermanent Resonance". You can now listen to the chat in the YouTube clip below. "Impermanent Resonance" was released on August 6 in North America and July 29 in Europe via InsideOut Music. In addition to the standard CD and the digital download format, the effort was made available in Europe as a limited-edition digipak featuring alternate artwork and two bonus tracks ("Unraveling" and "Why"), as well as on limited LP version (with the full album as bonus CD). The previous LaBrie album, "Static Impulse" from 2010, was released for the first time as LP (with the full album as bonus CD) on the same street date as that of the new album. Both LPs are available on 180-gram black vinyl but also on strictly limited clear vinyl (limited to only 200 copies each). The follow-up to 2010's "Static Impulse", "Impermanent Resonance" was once again conceived with LaBrie's songwriting partner for over a dozen years, Matt Guillory. Guillory not only took the leading role in composing the material, he also handled all of the keyboards and background vocals. The album's lineup is intact from the previous recording, featuring Marco Sfogli from Italy on guitar, Ray Riendeau (HALFORD, MACHINES OF LOVING GRACE) on bass and Swedish drummer Peter Wildoer (DARKANE, MAJESTIC), who was a finalist in the DREAM THEATER drum auditions. Additionally, former SOILWORK guitarist Peter Wichers came into the fold to contribute songwriting and studio guitars. "To me, this album incorporates and continues with the styles and musical direction that we have created with the previous releases," said James LaBrie. "The difference being that the music on this disc is to me a true telling of the songs evolving and taking on a sense of identity that is every band's ultimate goal. It is powerful, memorable, hook-driven and above all extremely musical. It shows how the writing and the band itself have matured. I truly feel that this is our quintessential album." "Impermanent Resonance" was once again mixed and mastered at Sweden's Fascination Street recording studios (KREATOR, OPETH, PARADISE LOST, SYMPHONY X) with Jens Bogren and this time also Tony Lindgren. Visually, Canadian LaBrie hooked up with Gustavo Sazes (ARCH ENEMY, FIREWIND, KAMELOT) to capture and translate the album's atmosphere into the striking artwork.